We invite you to attend the upcoming Elixir Club meetup, which will take place on Saturday, January 28th in Kiev, Ukraine. If you are in the area, be sure to drop by, say hello, and meet some fellow Toptalers and the Elixir community. 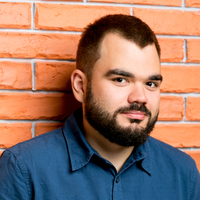 “Elixir in heterogeneous infrastructure” with Alexander Rozumii, Back-end Developer at Toptal. The event will take place at HUB 4.0, starting at 10AM. For more information, please visit the event website or contact Alexander Rozumii.